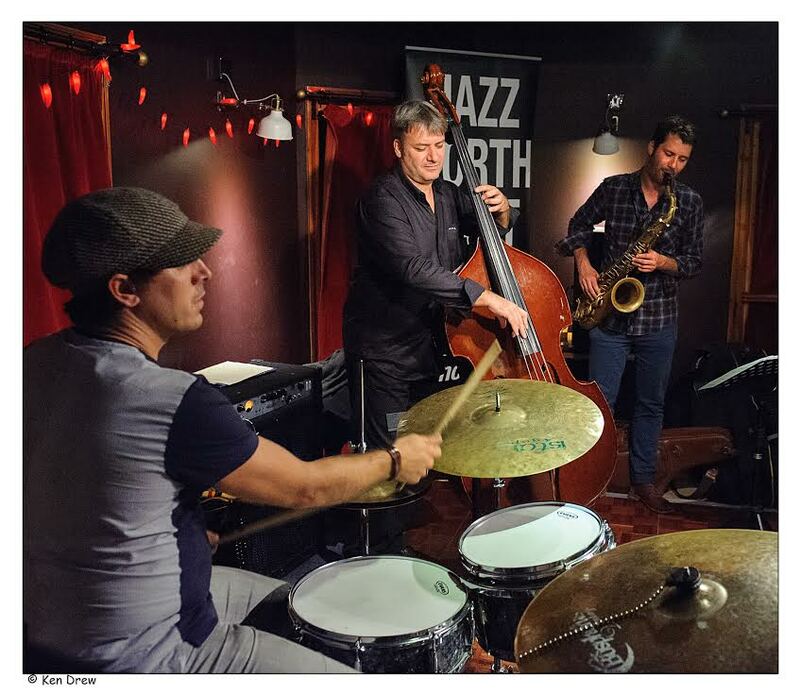 The drum, bass and saxophone trio format seems to be becoming increasingly popular. The absence of a piano seems to increase the intensity of the performance. 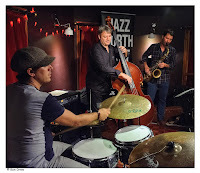 The Jeff Herr Corporation hail from Luxembourg and on Tuesday night produced two sets of high octane, complex and invigorating jazz in their first ever UK performance. Each band member is a gifted musician in his own right but when they played together they really hit a groove and were able to carry the audience with them. Apart from a marvellous interpretation of David Bowie's The Man Who Sold the World, with the theme magnificently improvised on sax by Maxime Bender, all the other tunes were originals including a sumptuous ballad inspired by Herr's 6 year old daughter. The piece, entitled Journey To Bliss, was introduced with a wonderful bass solo from the only non-native Luxembourger in the band - French man Laurent Payment. The final piece, the title track of their album, Layer Cake included a mesmerising drum solo from the band leader, and incredibly affable MC, Jeff Herr. So, after a rather indigestible start to the evening a musical delight emerged. I can safely say that the Luxembourger trumped the Hamburger.